Walk in the wetlands before Shabbat . . . . There is something very special about taking a mid-afternoon walk on Friday in the wetland preserve, with the sun shining and a lovely breeze blowing. I know that in just a few hours, SHABBAT will begin, a beautiful day of rest and quiet. 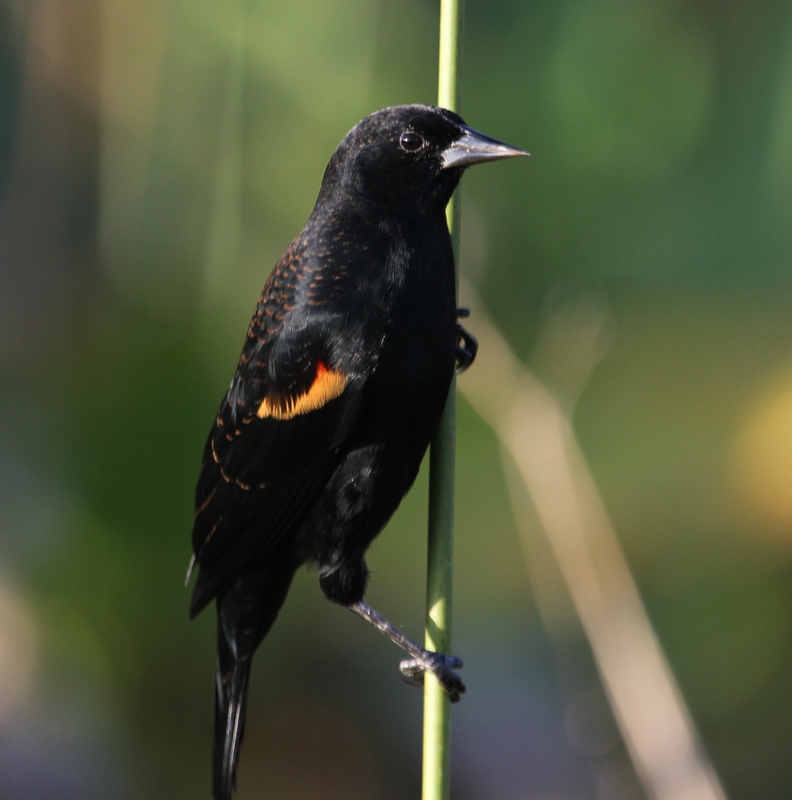 The ever-present song of Red-Winged Blackbirds flying about in the rushes is enough to put anyone in a positive and cheery frame of mind prior to Shabbat. This energetic little fellow does his best to look impressive when he puffs out his bright red ‘epaulets’ and sings his heart out! 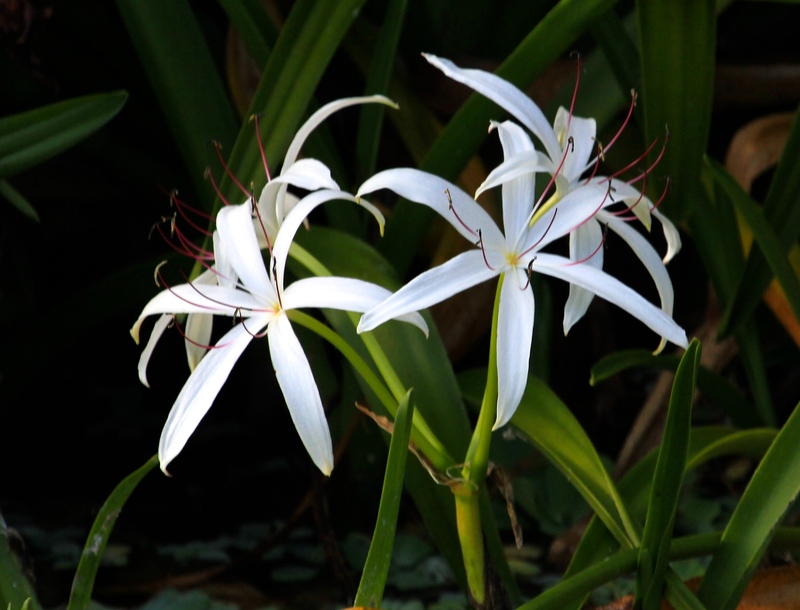 The graceful white Swamp Lily plants are still in bloom, draping their lovely, long white petals along the edges of the water, as their delicate flower tubes curve in the opposite direction, upward toward the sky. I only wish they were close enough to capture their fragrance. 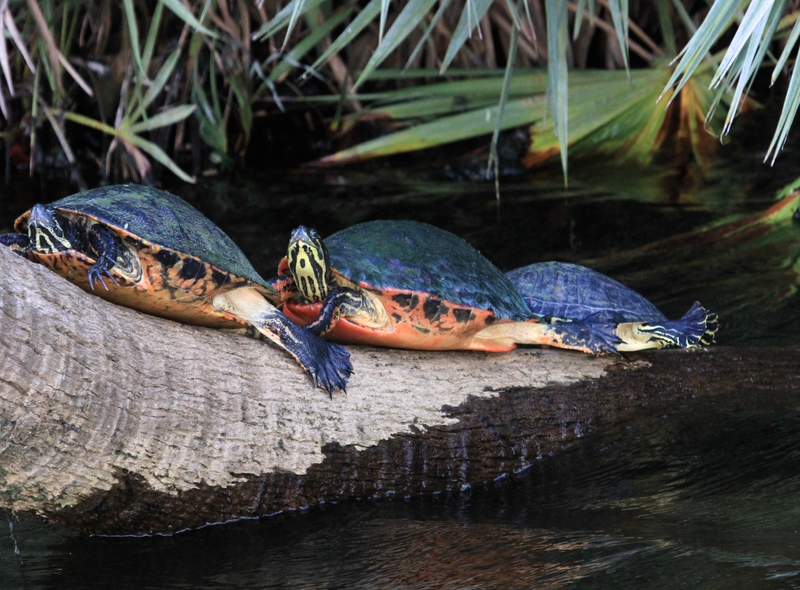 What a sight to see as we enter Shabbat~ This Red-bellied Turtle and his friends are frequently found snoozing on this log that extends out from shore into the shallow water. Looks like they are enjoying a little pre-Shabbat nap, probably so they can stay up late with their Friday evening guests! 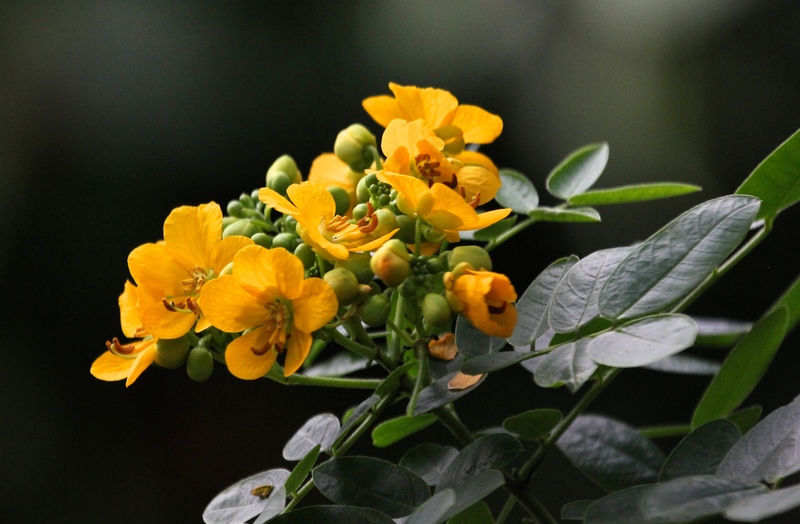 I’m not even sure of the name of this flowering plant above, but its bright yellow blossoms just jumped out at me in contrast to its dark leaves, against the shadow of this woodsy background. 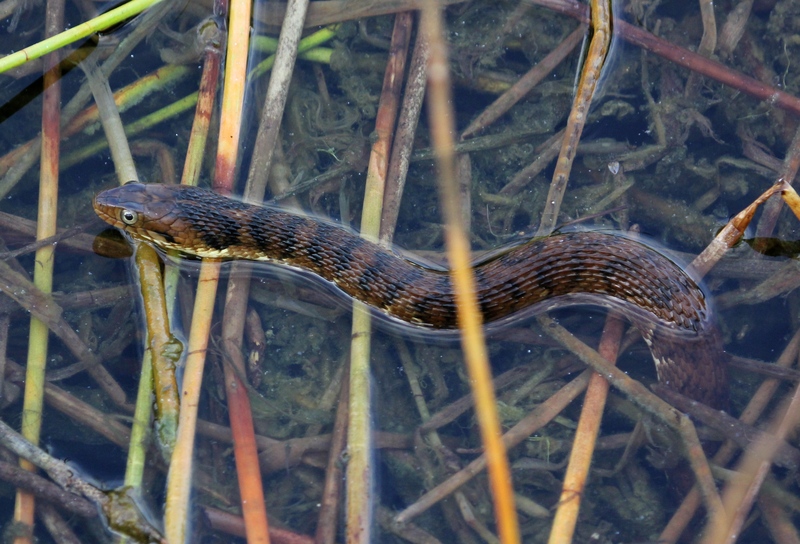 Even this tiny little Water Snake, wending his way through the fallen reeds in the water below me, looked bright-eyed in his eagerness to prepare for Shabbat! 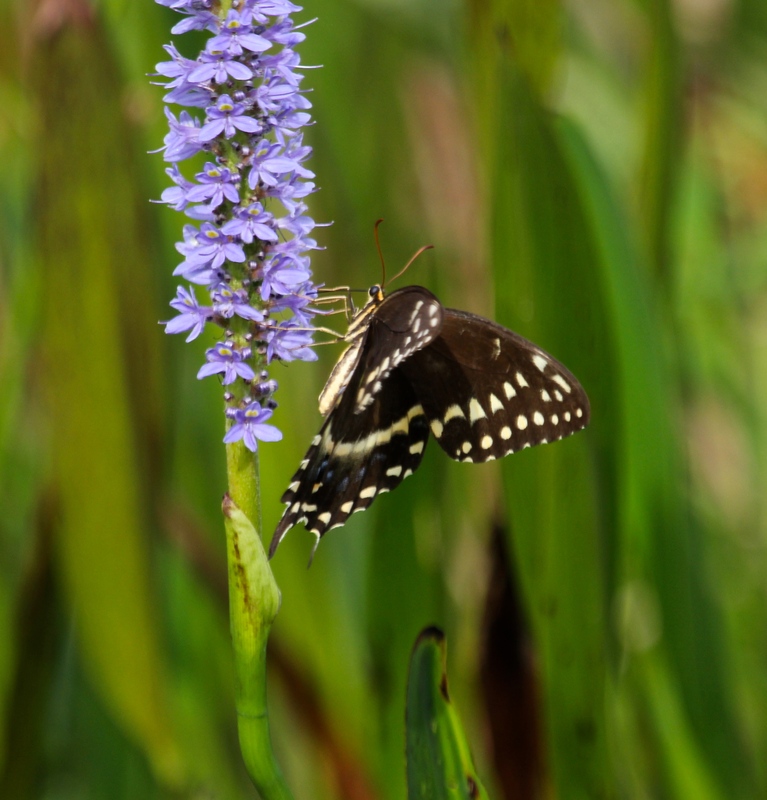 Someone told me this was a Giant Swallowtail perched on a tall stalk of Pickerelweed blossoms, but I’m not so sure. After looking in some field guides, I’m wondering if it was actually a cousin, the (perhaps less illustrious?) Eastern Black Swallowtail, because of the line of blue marks rather than the blue and red central spot (?). 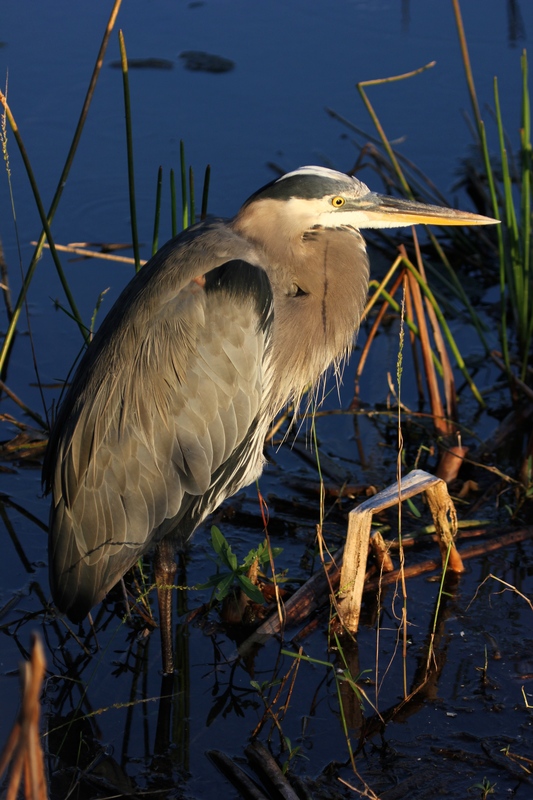 Always majestic, this handsome Great Blue Heron was ready to stand guard as the Night Watchman, as day slowly turned into evening and Shabbat came in over the wetlands. This entry was posted in Birds, Judaism-Birds Connections, Marsh/Wetlands and tagged Eastern Black Swallowtail Butterfly, Great Blue Heron, Red-bellied Turtle, Red-winged Blackbird, Water Snake. Bookmark the permalink. Thank you, Jet! I’m quite certain the red markings on the RWBB’s back are because it is a young bird. The juveniles we saw earlier this year have a sort of mottled look, with more reddish hues. I think they become more fully black (except for the male’s red shoulders, of course!) as they become adults. Thank you for sharing your walk with us. I felt as if I was beside you, observing nature’s wonders. It is truly beautiful here ….! I thank G-d every day for letting me experience such joy.